Giacca disintegrata 1 bott. 100% Cotton by Nicolò Ceschi Berrini - Clothing Men Jackets On Sale. 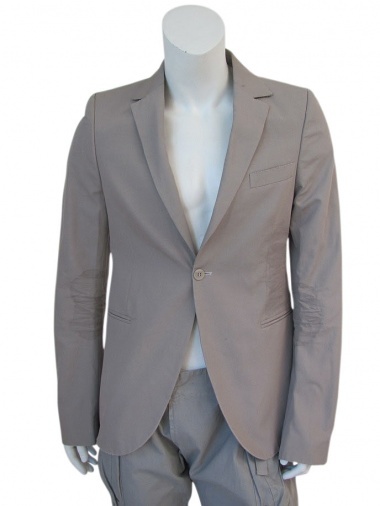 Light grey cotton classic jacket with lapels, one button fastening, small buttons in the sleeve and slit behind.